ST. PAUL, Minn. - Protesters in a Black Lives Matter march held outside the Minnesota State Fair over the weekend were captured on video yelling "pigs in a blanket, fry 'em like bacon," a statement that some law enforcement members viewed as targeting police officers. An organizer behind the march, however, is standing by the group's chant to fry police "like bacon," saying Monday that law enforcement officials are cherry-picking a 30-second chant to take issue with an otherwise peaceful protest. But St. Paul Police Federation President Dave Titus told CBS Minnesota the chant, which took place during Saturday's four-hour march around the fairgrounds in St. Paul, was ignorant and disgusting. The group's protest came hours after a suburban Houston officer was gunned down. 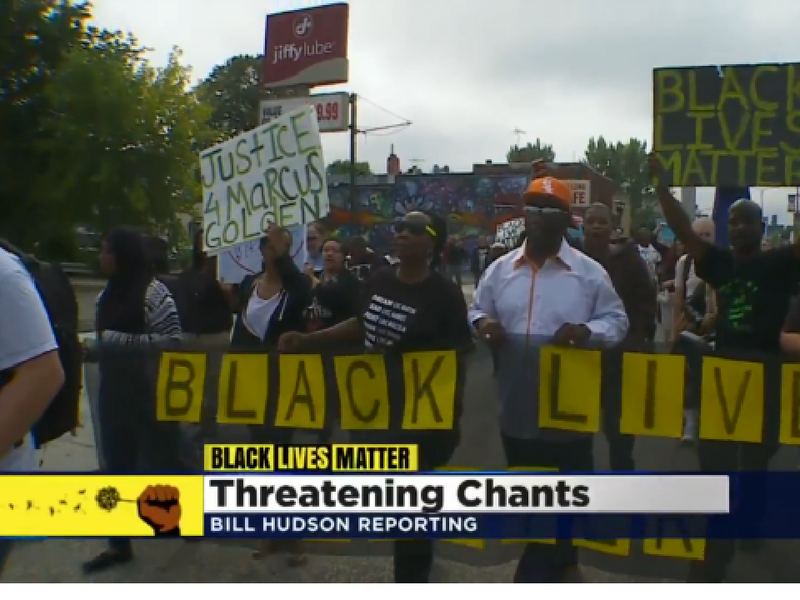 "I don't think chanting or singing what's basically promoting killing police officers is peaceful," Titus said. Turner said the uproar shouldn't focus on the group's chant but instead on recent police killings of unarmed black men and women like those in Ferguson, Missouri, Cincinnati and Baltimore. "We're not going to be distracted by their attempt to minimize our movement and focus on a chant that lasted 30 seconds," he said. The group is planning a Tuesday afternoon protest outside the residence of Gov. Mark Dayton, who last week labeled the group's fair protest plans "inappropriate." Turner said Dayton should apologize and address the group's concerns. A Dayton spokesman said any group has the right to protest outside the governor's residence if they follow city ordinances. Turner said protesters plan to shut down traffic on St. Paul's Summit Avenue if the governor doesn't come out to talk with them.